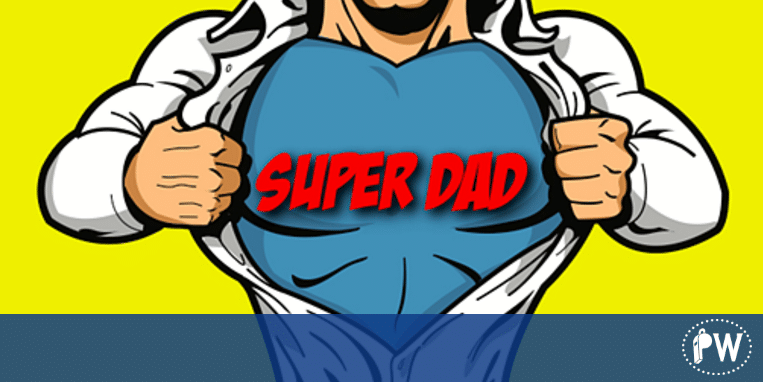 Dads are interesting characters that play such a central role in our lives. As a trusted family business consultant, I have seen the whole gamut of fathers and father-offspring relationships. Just as a quick backstory I have many of the same patterns in my father relationship – my dad wasn’t around much. Don’t get me wrong. I’m not trying to let dads everywhere off the hook, especially those dads who took off and simply quit on their responsibilities. What I am trying to do is help alleviate the pain and suffering people are going through wishing their dad would become something he’s not. The idea of giving Dad your acceptance is a gift you give not only to him but also a gift you give yourself. In my family business consulting practice I hear that, “if Dad only did this or if he had only done that…somehow life would be better.” Stop blaming Dad for anything. Maybe not having my dad around was a gift I was given to be able to appreciate the chance to be there every minute for my kids. Whatever your dad did or didn’t do — make your life your own — not based upon the actions of your dad. Your dad grew up in a different time with a different upbringing. His dad was probably raising him just like his father had done before him. Learn to accept your dad for himself. Take the mindset that he’s doing the best he can given who he is and from where he came. Be present with him. Stop judging him and trying to change him. Cherish the time you have with him. My father passed away when he was 52 and I was 26. I’d give anything to just sit and have a cup of coffee with him and thank him for being my dad.